There are a many absolute certainties in the world of comics, to name a few: Batman’s parents have to die, Gwen Stacy has to die, the whole freaking Planet Krypton has to die (Trend? ), and an X-Men story is always bound to be as convoluted and unpredictable as the characters within it. The X-Men movie-verse however, has failed to live up to the lofty story telling heights set by the comics the films are based on, until now. X-Men: Days of Future Past is THE definitive X-men movie. The film brings back all of the franchise’s favorite characters along with the actors who originally portrayed them, thus creating a strong level of continuity and immersion right from the get-go. Leading the pack is the return of Hugh Jackman as Wolverine; wherein he gives us a performance that showcases what was missing in the Wolverine-centric Films. Each X-Men character is meant to be part of a collective group, sharing a collective story, it is in this manner that X-Men: Days of Future Past re-creates the greatness of X-Men on the big screen. The plot of X-Men: Days of Future Past revolves around how the X-Men must send Wolverine back in time (because only he can survive the trip) to stop Mystique from killing Bolivar Trask and initiating the rise of the Sentinel Program. The film is well paced, with an intro that immediately grabs your attention leading into a deep story that gives viewers who haven’t read the comics (most) a greater understanding of what motivates each central character. The film does an almost perfect job at balancing character-centric scenarios with factional ones; Days of Future Past really feels like a movie about the X-Men, and not just another Wolverine and the X-Men showcase. Everything cumulates into a very satisfying ending that will only make viewers want MORE. Bryan Singer pulls out all the stops with this one, as Days of Future Past may very well be his last venture with the X-Men. Performances from all cast members are top-notch, with James McAvoy and Michael Fassbender steeling the show yet again with their amazing performances as Professor X and Magneto respectively. John Ottman’s editing should be heavily commended, as the film never fails to transition seamlessly back and forth from a dark dystopian future to post-Vietnam 1970’s. Jennifer Lawrence delivers her signature solid performance. Expect to see much more of Hollywood’s newest it-girl as Mystique now seems to be to be the new face of the X-Men film franchise. 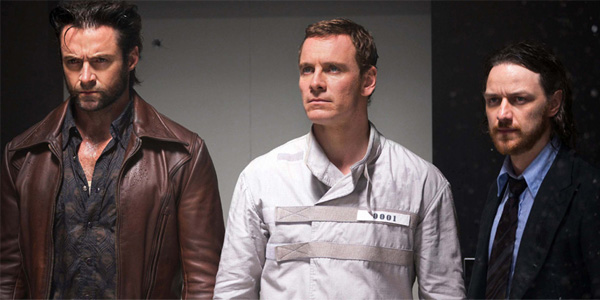 X-Men: Days of Future Past suffers from one or two plot holes, but then again, what good X-Men story doesn’t? If you’re an X-Men fan, this film is a must see. And if you aren’t an X-Men fan, Days of Future Past is still… a must see. Casual moviegoers can rejoice knowing Days of Future Past is good enough to stand on it’s own. And X-Men fans should thank 20th Century FOX of delivering to us the MOTHER of all X-Men movies, the Sistine Chapel of mutant features; Days of Future Past is what we’ve been waiting for, go catch it in cinemas before its too late. Pictured: Your face, when watching this movie. This entry was posted in bryan singer, Comic Book, days of future past, Franco Romualdez, Movie Reviews, X-Men and tagged bryan singer, days of future past, Franco Romualdez, Hugh Jackman, James McAvoy, Jennifer Lawrence, Michael Fassbender, movie reviews, wolverine, x-men. Bookmark the permalink.